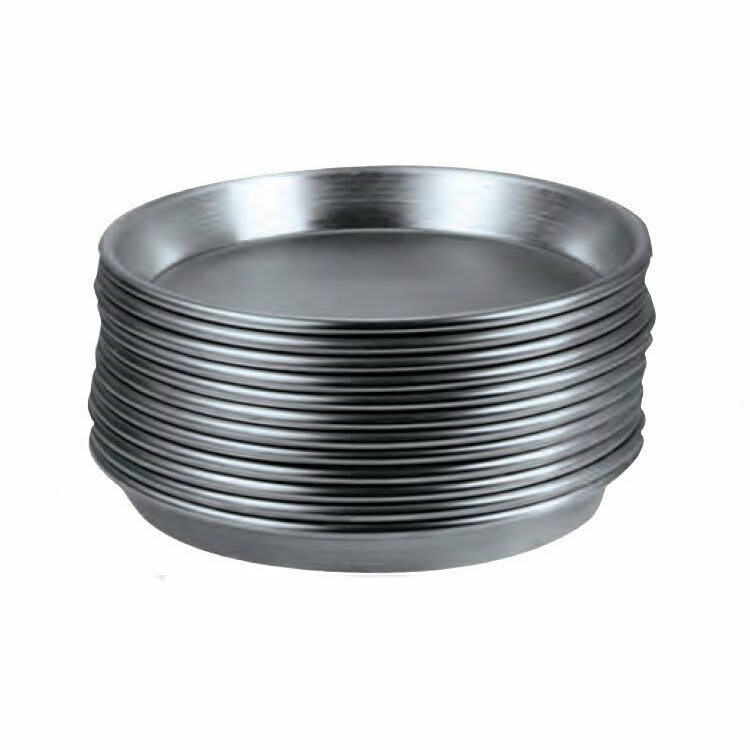 The American Metalcraft ADEP14 pizza pan has a 14-inch top diameter and a 131⁄4-inch bottom diameter with a 1-inch depth. Made of durable aluminum, this unit can withstand commercial use. Its standard weight aids in transporting food, and its tapered design can be stacked with other pans. Get more information on pizza pans in the pizza pan explainer.